The Phillies really, really want a left-hander for their rotation. 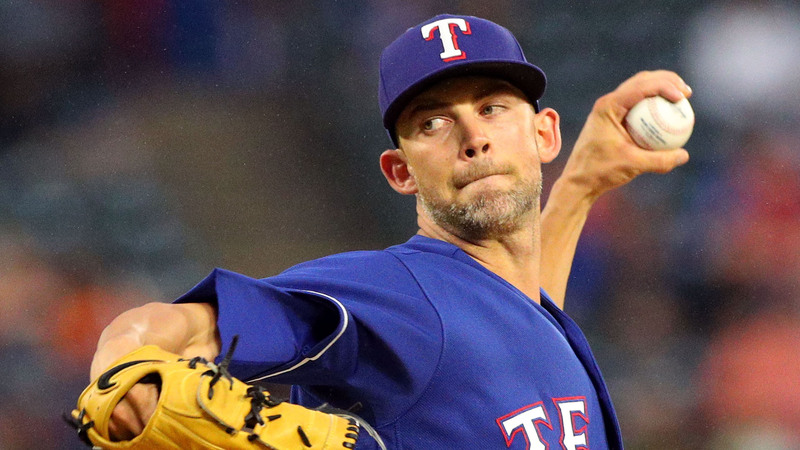 According to MLB.com, Philadelphia has checked in with the Rangers about lefty starter Mike Minor. The Rangers signed Minor to a three-year, $28 million deal before the start of the 2018 season. He went 12-8 with a 4.18 ERA for Texas last year and posted 12 quality starts in 28 outings while allowing three earned runs or less in 20 of his appearances. Texas general manager Jon Daniels did not comment on the possibility of a deal and said the Rangers are looking for players to help next season. According to MLB.com’s report, which cites unidentified league sources, the Rangers would possibly be willing to do the trade if the Phillies included a couple of the team’s better, younger pitching prospects. The Phillies have been after a lefty throughout the free-agent period. Multiple reports said Philadelphia really wanted Patrick Corbin, who ultimately signed with the Nationals. More reports at the winter meetings indicated the team wants to go after 2015 American League Cy Young winner Dallas Keuchel. The team is even in on lefty relievers as reports have said. The Phillies have checked in on both Zach Britton and Andrew Miller.